This beautiful summer hat is sure to have your sun princess travelling through the warm weather in style. 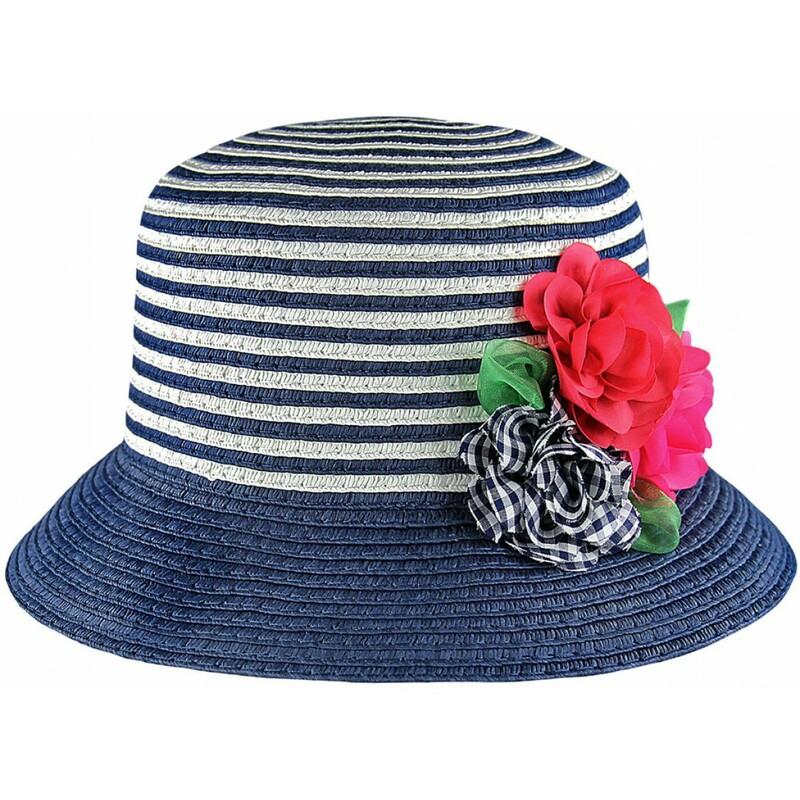 Made of striped design, with fuschia flower detailing around the, it's a sunshine day accessory that's sure to have every head turning. This unique and stylish hat is ideal for protecting little eyes and delicate skin from the sun. We love the blue and white colour scheme, perfect for teaming with summer whites or denim. The bright colours are perfect for blending with any summer outfit.